» Tweaking your Sub-conscious through Conscious Intervention! Tweaking your Sub-conscious through Conscious Intervention! The conscious brain – you may think it propels you through your life, but it is a lot like the RAM on a computer – a short term memory that retains information for a few minutes or up to a few hours. 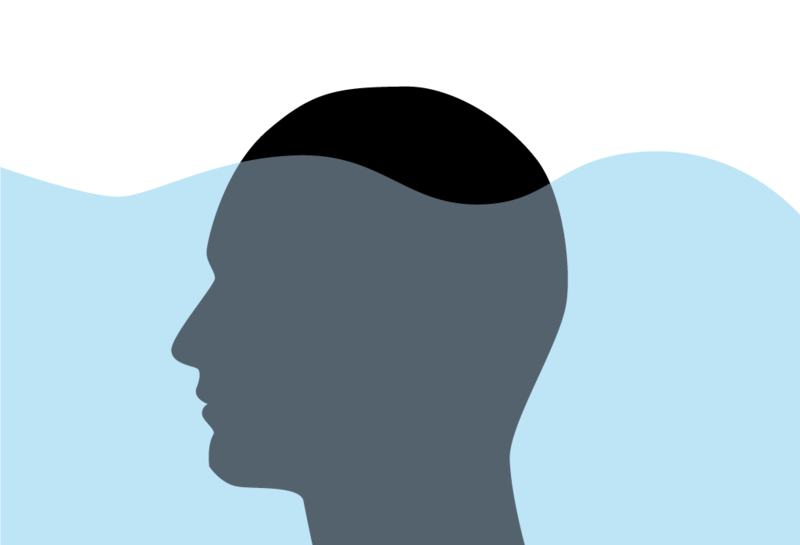 In fact the brain is a lot like an iceberg, with the conscious part being the tip – the small fraction visible above the water. The major part of the brain that stores information, retains it, accepts information from the outside world, makes decisions and regulates your entire body is the much larger “submerged” sub-conscious! Being the seat of memory and decision making, your entire mental makeup, or in other words the “programming” of your brain resides in the subconscious. Therefore this is what you need to target when you want to alter a deep-set feeling or emotion. And, to be able to consciously direct the former, you need to get a little acquainted with it first! The unconscious records every memory in minute detail – but their organization and accessibility differs from person to person. The unconscious suppresses bad memories, but they are revisited at times; the feeling can be recreated almost exactly by your unconscious. The unconscious fits in quite well with the saying – “the idle mind is the devil’s workshop”. It thrives on new experiences and knowledge, and mischief brews when the brain is idle and bored! Therefore, keeping your mind active is essential. The unconscious, based on your individual programming, has its own patent “morality”. And no matter how much you try, without altering the memories and lessons that induce this sense of morality, you cannot ever do anything against the set rules in your head! Your unconscious makes all decisions based on its own “dos and don’ts”. Though this next feature may seem incongruous, it is nevertheless true. While the unconscious keeps you on track, it cannot initiate reactions – it needs to be directed through the conscious. The unconscious “deals exclusively in positives” … which is to mean that it cannot comprehend negatives. So when you give it a direction containing a negative, it actually takes it to mean the exact opposite. Confused? Here’s an example:You tell yourself – “I don’t want to be poor” – the unconscious cannot and does not understand the “don’t” and what finally gets conveyed is “I want to be poor”! And as a consequence you keep on doing things that make you poor.So when directing the unconscious, it is mandatory that you use only positives. How the unconscious programming get’s messed up (right from childhood)? From age 0 to 5, the human brain is naturally geared for learning. Therefore, whatever you learn then is carefully stored and turned into your “dos and don’ts”, so to speak. To look at some of the elementary things – you learn to eat, talk, walk, understand – basically all the essentials. How can you bring about these alterations? No matter how old you become, until you alter negative ideas stored in your unconscious, you cannot break out of them. One way to do this would be trying hypnosis. Often the learning state in which we exist in our childhood is compared to a state of hypnosis. In your adult life, a state of hypnosis, similar to the learning state, can allow you to delve into your unconscious, and then consciously alter the offending idea or emotion. You enter a hypnotic trance. Imagine your mental programming to be a jukebox- like those you see in country bars and inns in movies! Go into the jukebox and locate the disks that hold your negative emotions and thoughts. And imagine replacing them, one at a time, with positive ones. Don’t expect it to be easy, and don’t think that the change will be instantaneous. Practicing will help, and repetition will consolidate the new ideas you want to embrace. Alternately, you can also use deep trance with self-made hypnosis scripts that will increase positivity. The bottom line is that you need to make a conscious decision to alter your subconscious, and you can use hypnosis to find the needed communication channel between the conscious and the subconscious! Help Your Child GROW With 5 Simple Steps Of Self Hypnosis! Previous Post How Self-hypnosis Can Help You Win The Battle Against Overeating Next Post “Positivizing” your Mindset for a more successful you!